Welcome to Coffee News® of the Florida Lakes Area! 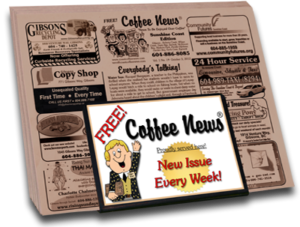 Fresh weekly issues of Coffee News® can now be found in locations throughout the Florida Lakes Area. We’re very proud to bring this free, weekly publication to local restaurants, coffee shops, hair salons, professional offices, community buildings and other local businesses where people have a few minutes to read good news and fun features while waiting. Our goal is to be “everywhere” within the community to maximize enjoyment for our readers and exposure for our local advertisers. Learn more about Coffee News®, its popular appeal and what it can do for your business! Looking for a Coffee News distribution location. Use our interactive maps below to find a location near you! Simply click on the map thumbnail below for the full edition area locations map.